They were supposed to build an inanimate object with Bionicle pieces. I think he's extremely creative, and it always amazes me, the things he comes up with. It was my idea for him to build the saxophone, but I would have had no idea how to go about it. 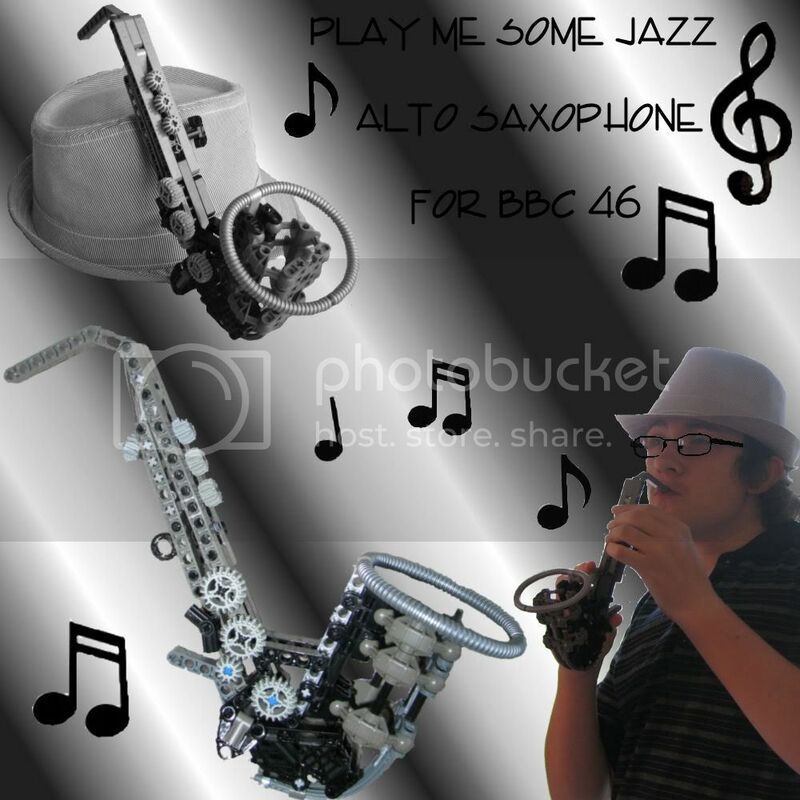 He built the saxophone, took the pictures, and put the whole image together. Pretty cool, huh? That is so cool! My boys have a huge tub full of Bionicle pieces, and that's pretty much all they play with. In fact, that's been pretty much all they play with for YEARS. It's worth every penny I spent on those sets!